Chopard is a Swiss jeweller and watch maker SM was founded in 1860 in the Swiss city of Sonvilier. The founder was Louis-Ulysse Chopard. Chopard was originally known because he started creating pocket watches and wristwatches for women. In 1963, the company was sold to Karl Scheufele, another Swiss watch maker. Together with his family, Scheufele built the company to the internationally successful brand it has become today. The company has also developed its range to include perfumes, among other things. In 1992 the first fragrances were launched in a collection named Casmir. All fragrances were directed to women and the main perfume named Casmir scents of vanilla, bensoeharts and peach. All perfumes in the collection have bottles that look like big jewels in different colors with golden lids. 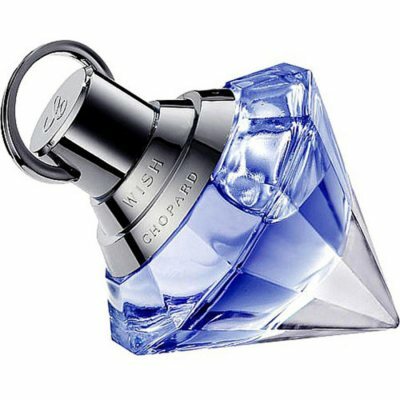 The bottle for Casmir fragrance Festival Blue , for example, looks like a sapphire and the perfume smells of pear, sandalwood and tangerine. In 2013, the first perfume was launched in a collection by the name 1000 Miglia, directed to men. The main perfume 1000 Miglia smells of asphalt, leather and wood. 1000 Miglia Extreme from 2015 scents of cedar, leather and lavender. Chopard has also launched several uni-six collections, including one from 2017 named Chopard Collection. The collection includes the perfume Vanille de Madagascar , which smells of cedar, vanilla and dried grass.